3D form fitting ankle-high protection that wraps & supports the ankles. Duratex Ripstop fabric provides excellent durability and cool comfort. Durable in extreme environments. Repels water, oil, and is dustproof. Extra smooth padding lining with the right amount of rigidity. Hexavent Premium insoles for endless cushioning and comfort. Constructed with hard and durable PU upper materials for added abrasion protection. Solid grade heel support & protection without sacrificing comfort. 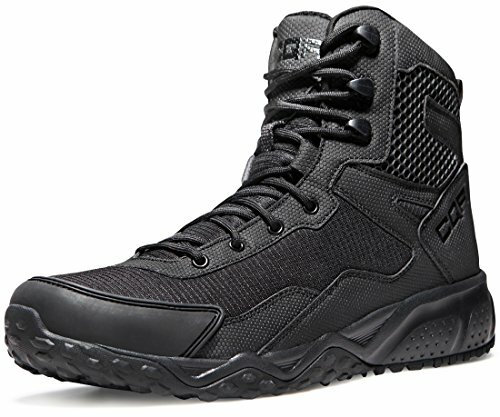 Combat ready with rugged design, specially developed outsole that absorbs shock and foot strikes even in the harshest environments. Long-lasting lightweight design suitable & durable to all heavy weather conditions. TPU toe cap with performance lug soles. "